Following the late night's sleep (or early morning you might put it that way), we woke up late. The alarm was set at 0800 hrs but we snoozed till 0900 hrs before we rushed to pack our luggage and bathed. We checked out at 1000 hrs and left for Lake Tekapo without breakfast. Arriving at Lake Tekapo once again, we grabbed lunch at the town centre. I had fish and chips once again. After lunch, we visited some souvenir shops and of course bought a big bottle of L&P (New Zealand's famous drink) from the supermarket. Got myself a Popsicle and it was really good to eat ice cream in the cold! 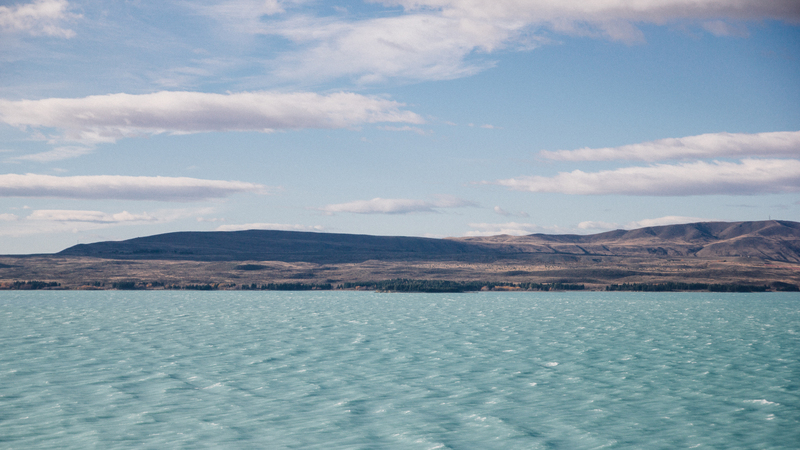 We left Lake Tekapo for Christchurch. By the time we reached Christchurch, it was about 1640 hrs. The sun set while we drove around to look for souvenir shops and another supermarket trip. Before we knew it, night fell and we went for dinner. I had the most expensive meal I ever paid in my life! NZ$24 for a plate of pork with sweet potato. It was really tasty, though. After leaving the restaurant, we headed off to look for petrol stations near the airport to fill our rental car's fuel tank. Clearing off the rubbish from our vehicle, we drove off to Sudima Hotel to pack our luggage and dropped our rented Toyota Camry to the hotel. As it was after office hours, we had to drop our vehicle off at the hotel and the hotel staff drove us to the airport to drop us off. We stayed overnight at the Christchurch International Airport. It was a bad night as we were not allowed to sit or sleep on the floor. Had we pay for a measly NZ$5 air lounge, we could have had a good night's rest. Finally, we checked-in our luggage at 0330 hrs. The plane took off at about 0645 hrs and we arrived in Sydney at 0800 hrs. The plane from Sydney left at 1020 hrs and we arrived in Singapore at 1645 hrs. From the initial budget of S$2,500 for the trip, I spent about S$2,660 at the end. I have friends asking me if New Zealand is expensive to visit. Without skydiving, I would have spent about S$2,000 but do note that there were about five to six days where we did not have lunch. As we had set a budget of about NZ$10 per meal, I felt that in a future trip, I will have to increase that budget up. It's hard to find meals at that price. Yes, you can find food below NZ$10 but I would say maybe about 70-80% of the food out there costs more than that. If you are someone who needs to eat food and not bread, then I would suggest that you set an appropriate budget of about maximum NZ$20 per meal to be safe. Bring more, better than bringing less. But we were on a budget, so I'm glad that we stuck to it. Accommodation wise, do check out Airbnb and hostels. They are relatively affordable at about NZ$30-40 per night for one person. But it also depends on whether you rent a room or an entire apartment. Airbnb's good with that. The hostels we stayed in were: Chateau Franz Josef, Adventure Queenstown Hostel and Mt Cook Backpackers Lodge. I would say that the Adventure Queenstown Hostel would be a recommended hostel when you visit Queenstown! New Zealand has been a destination I wanted to visit since young and I am glad to have done it (partially). The trip was refreshing. First road trip, first trip with friends (less the school trip with my polytechnic), first time skydiving and overall a really fun trip. South Island was really beautiful and though it was raining for about two-third of our trip, I felt that Autumn was a really good time to visit the country, considering we come from a country with Summer temperatures all year long. Maybe I should visit New Zealand in Winter-to-Spring period the next time I travel. There were a couple of activities like the Milford Sound cruise, Franz Josef Glacier Ice Explorer/Heli Hike and bungy jumping were left out due to budget constraints. I hope to be back to do them in the future. 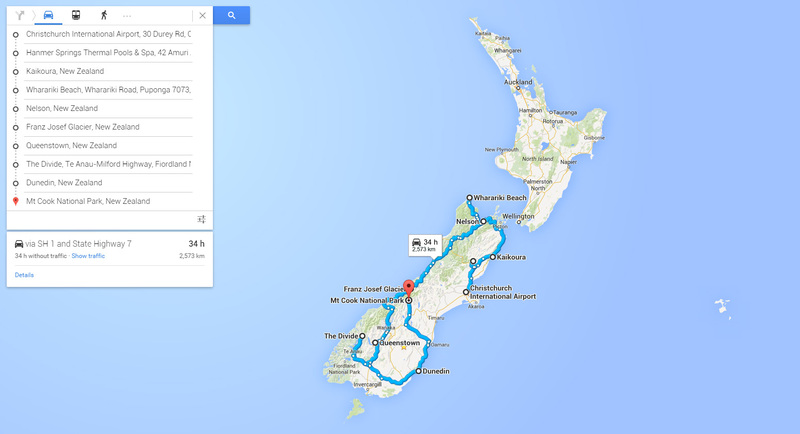 I hope that my blog post has helped those who are interested to visit New Zealand. If you are interested in getting our itinerary for the South Island trip, do contact me! Till then, peace out!